Securastore is all about solving your problems. We pride ourselves on being flexible in order to cater for all our customers’ needs. You tell us what your requirements are and a member of our team will help you work out the best container solution for you. 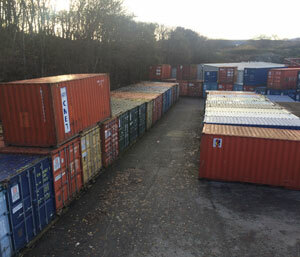 Our storage site in Aberdeen, has access 24 hours a day, seven days a week, so you can access your storage container whenever you need to. The site has car parking for your convenience, yard lighting, security and infra-red security lights and cameras, so you and your belongings are safe at all times. Staff at Securastore are friendly and helpful and will always be happy to talk you through your options and show you the range of containers available. Don’t worry if you have never used storage before. We have a dedicated customer service team ready to answer all your questions and offer advice about insurance, container size and more. Customer service and satisfaction is our priority, so please help us get it right by offering any feedback.